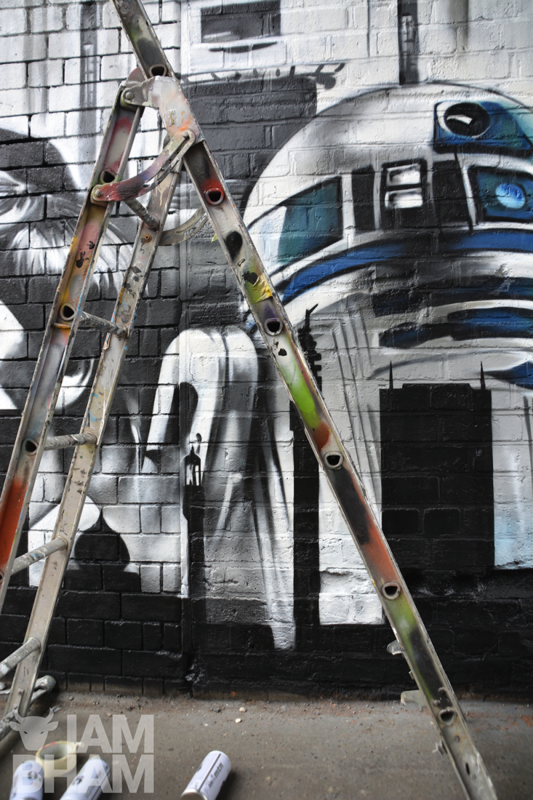 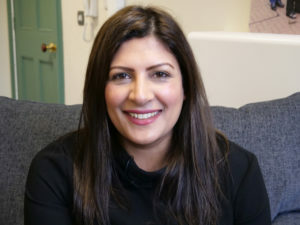 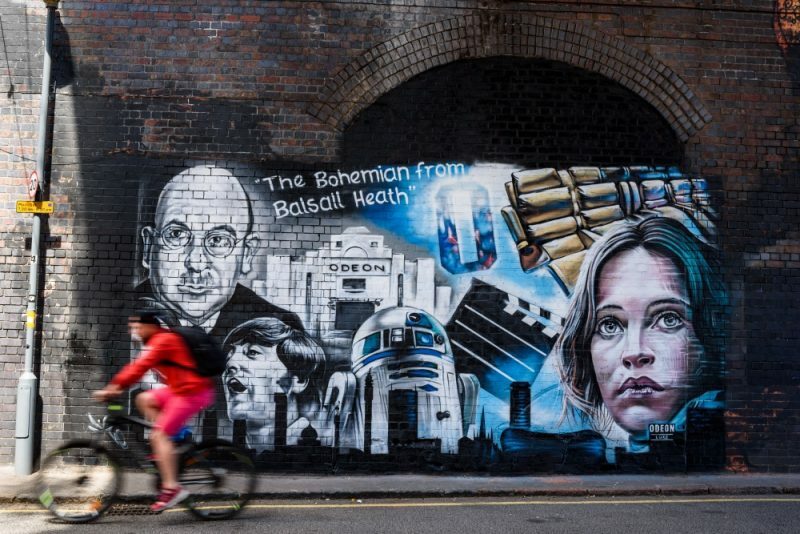 You’ve probably seen a new mural in The Custard Factory celebrating’s Birmingham’s cinematic history, including Brum’s Star Wars connections, and wondering what it’s all about. 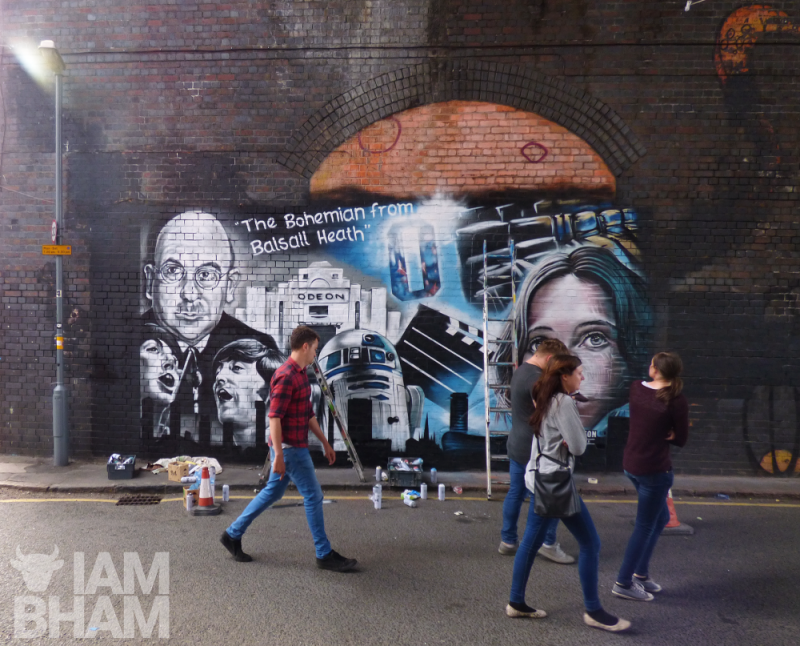 Well, the artwork has been created to tie in with the opening of the all-new Odeon Luxe cinema at Broadway Plaza in Birmingham. 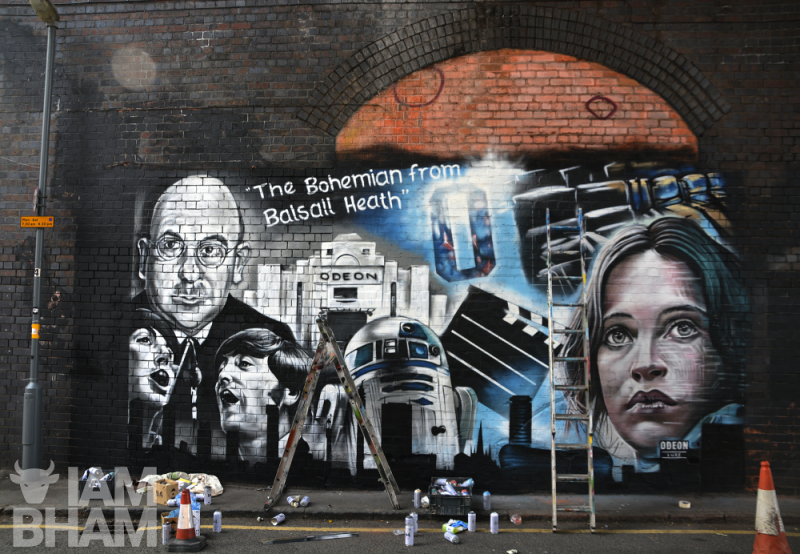 The huge spray painting depicts Birmingham actors from the Star Wars films including the late Kenny Baker who appears as the iconic R2D2, and Felicity Jones from Bournville who appears as her movie character Jyn Erso. 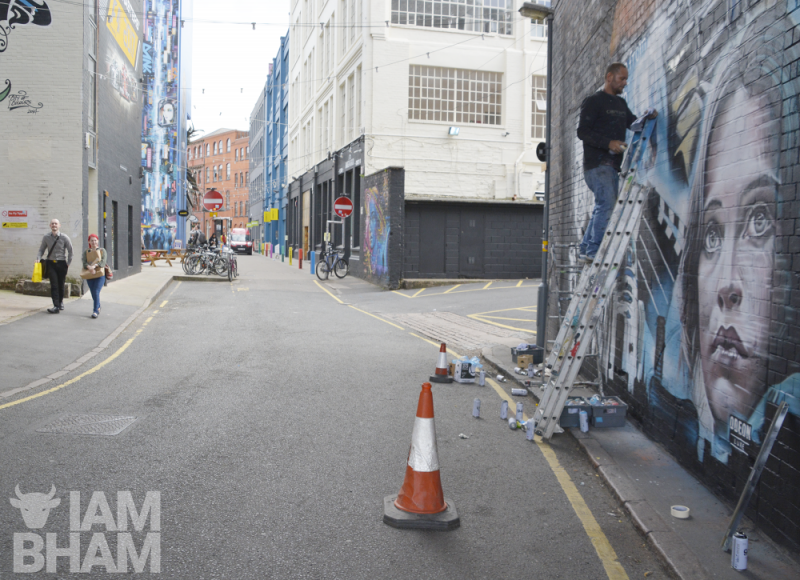 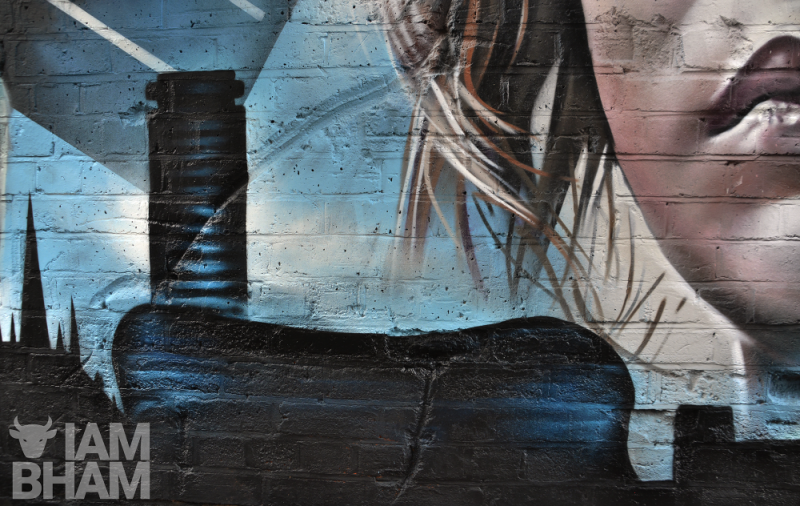 Odeon commissioned a striking piece of street art at the Custard Factory in collaboration with local street and graffiti artist Andrew ‘Title’ Mills to mark the official launch of the newly renovated Odeon Luxe Birmingham Broadway Plaza cinema. 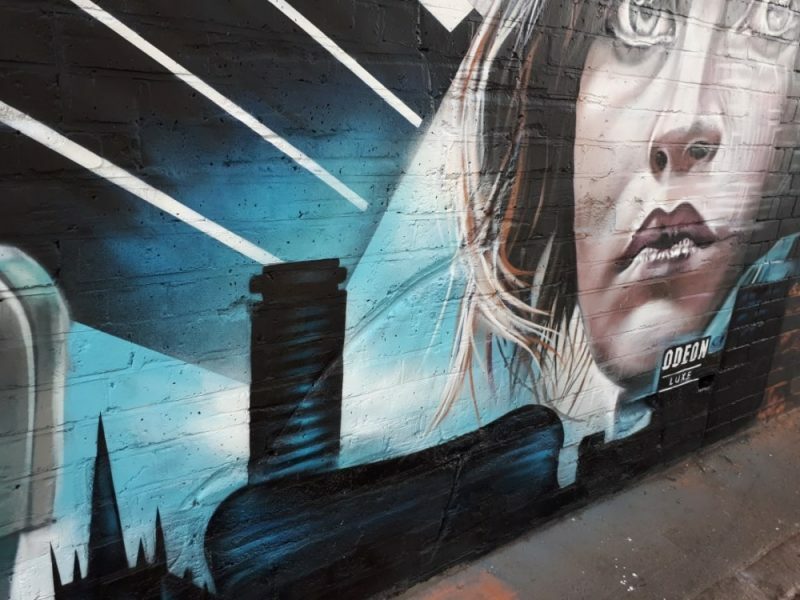 The artwork, which covers 6.5 x 3.5 meters and took over 35 hours to spray paint, has been produced to encapsulate Odeon’s long-lasting connection to the city along with some of the greatest moments in Birmingham’s film history, stretching from the 1930’s to the present day. 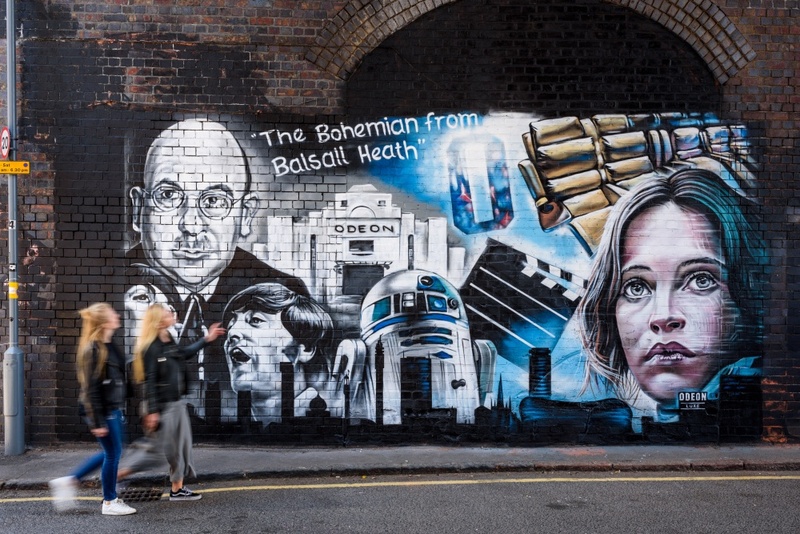 The colourful and eye-catching mural in Digbeth, which local residents can head down to enjoy from today, includes a portrait of Odeon’s founder, Oscar Deutsch, who was born in Balsall Heath in 1893 and who opened his first modern, art-deco inspired Odeon cinema in Perry Barr in 1930. 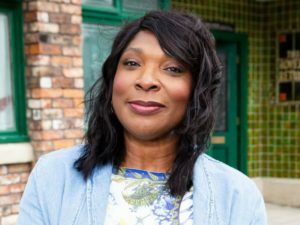 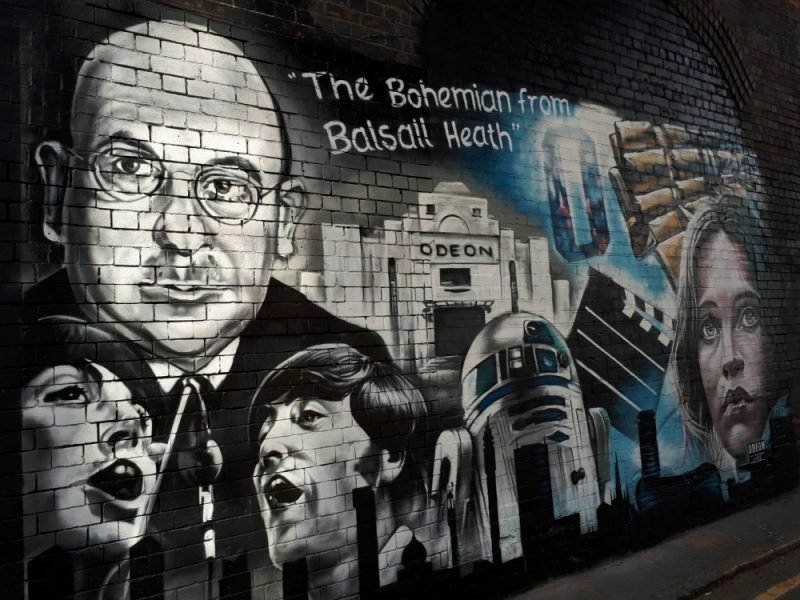 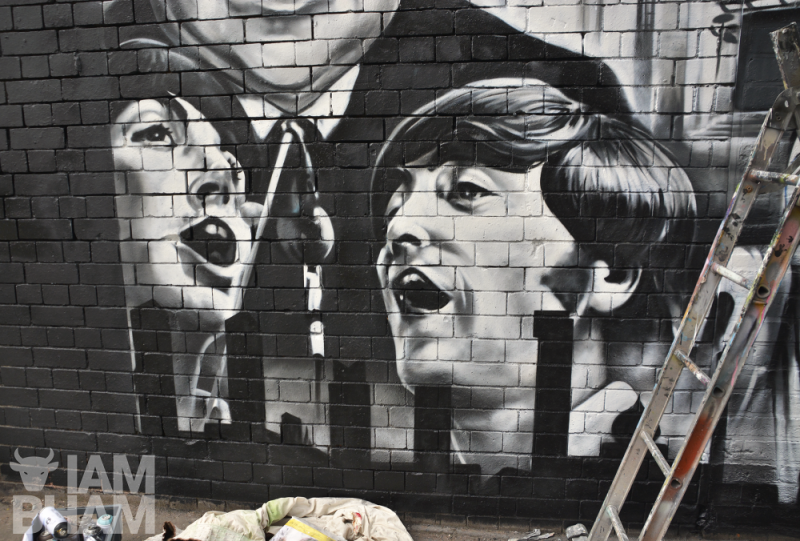 There is also a reference to The Beatles – portraying John Lennon and Paul McCartney – who performed at the Odeon in December 1965; and what appears to be a tribute to local surrealist painter Conroy Maddox, who was often described as ‘The Bohemian from Balsall Heath”. 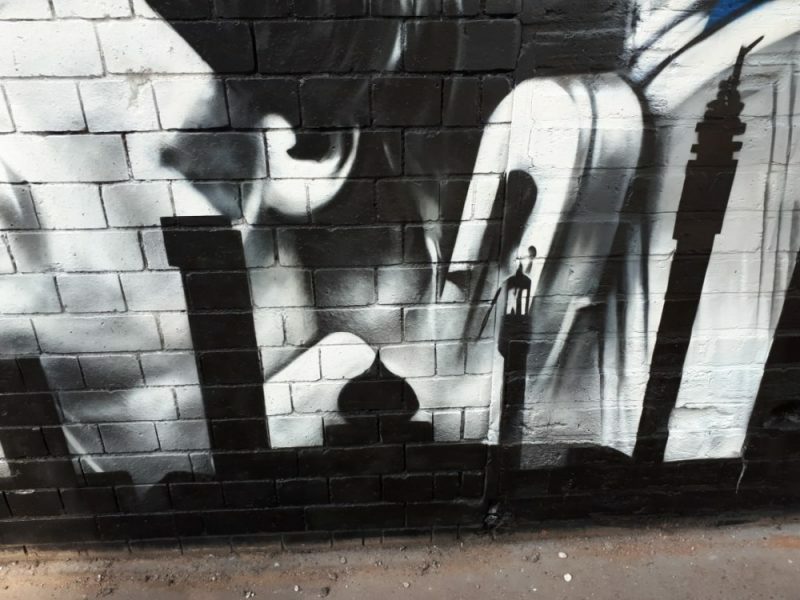 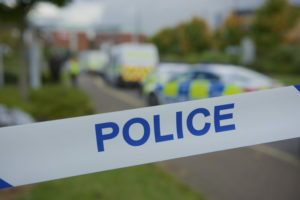 The lower section of the mural features the Birmingham skyline with iconic buildings such as the Rotunda, the church of St. Martin in the Bullring, the Selfridges building, and Birmingham Central Mosque. 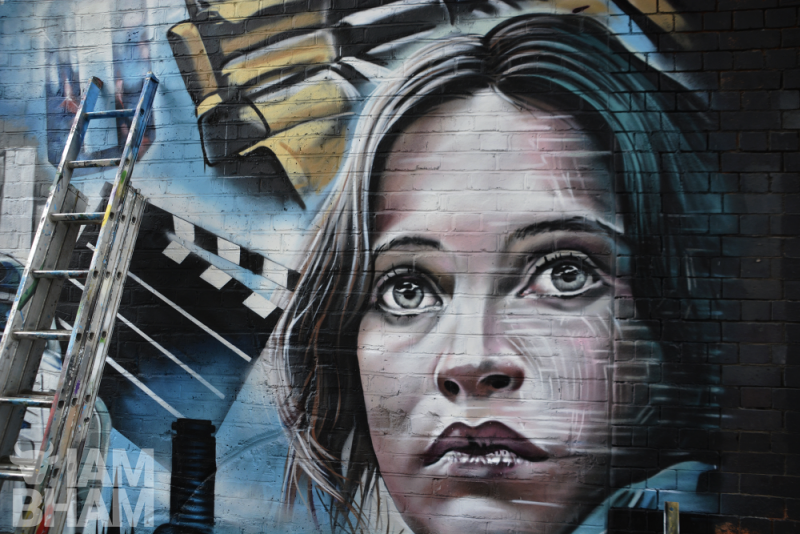 The newly revamped and rebranded Birmingham cinema in Broadway Plaza is the UK’s biggest Odeon Luxe complex, complete with 1,264 brand-new, handmade, luxury recliner seats across 12 screens, with state-of-the-art iSense screen with 4K projection.